Seasonal free shuttles throughout Springdale with access to and from every hotel, as well as world class art galleries and local shops. Semi private modern dining room with spectaculars views of Zion National Park. Able to accommodate up to 50 guests. The food is pleasing to the eye and satisfying to the palate. The cuisine is handcrafted using fresh local ingredients and homemade sauces. Open daily for a hearty breakfast and gourmet dinner. 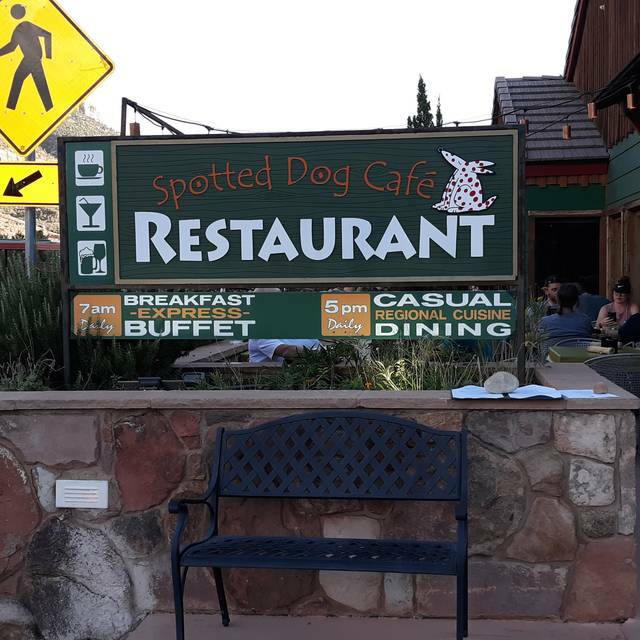 The Spotted Dog Cafe was highly recommended by a fellow guest at the Zion Lodge. We had a delicious meal and can’t wait for our next visit to Zion so that we can come back. The food was outstanding and the service was excellent! Food was mixed, with a great appetizer, my husband loving his entree, and my entree being good but not spectacular. Wonderful server, friendly and helpful. Hostess placed us in a perfect back room, in the corner, as a quiet location had been asked for. Noise level would have been much higher in the front room. The food was good, the service was good, the view was good, but nothing really stood out. My wife and I both commented that while everything was fine, it just did not seem to be worth the cost. The brie was flavorless and the stake underdone. I would recommend Spotted Dog to a friend looking for a quite dining location in Springdale but would warn them about the cost to value ratio. 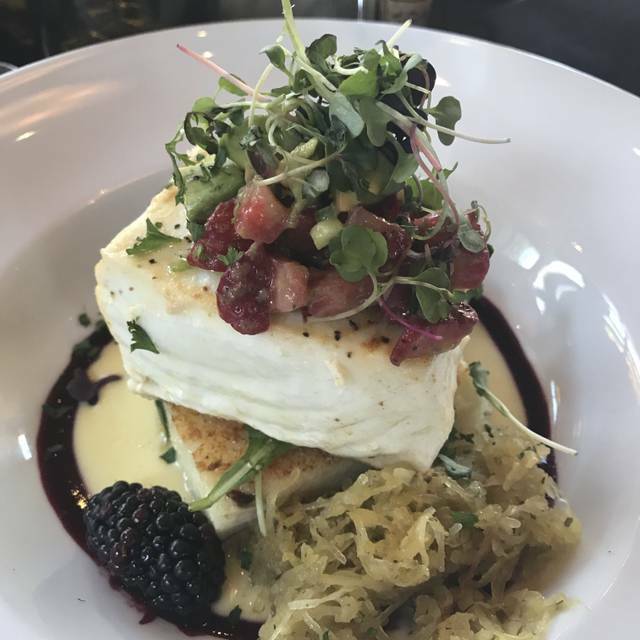 Great food, extensive wine list , friendly staff and outstanding views. While visiting Zion, we had dinner at the Spotted Dog. It turned out to be an excellent choice. 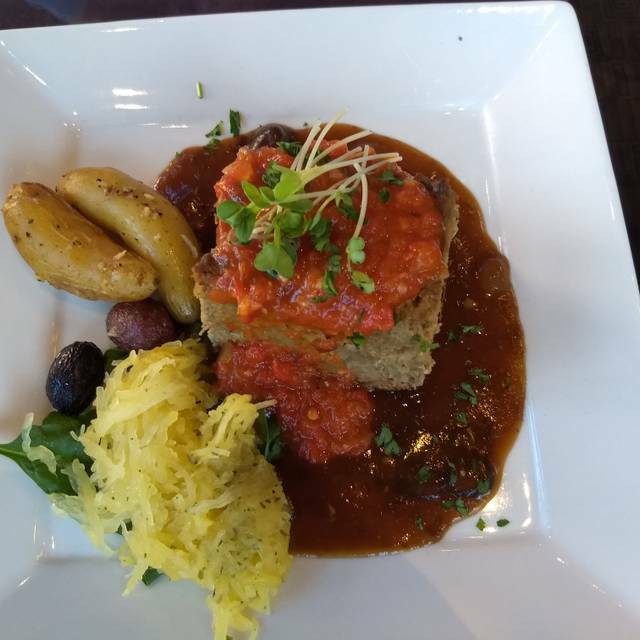 The service was great and the food was absolutely delicious - fresh and healthy. This is a great restaurant. Top notch fare in a National Park setting. 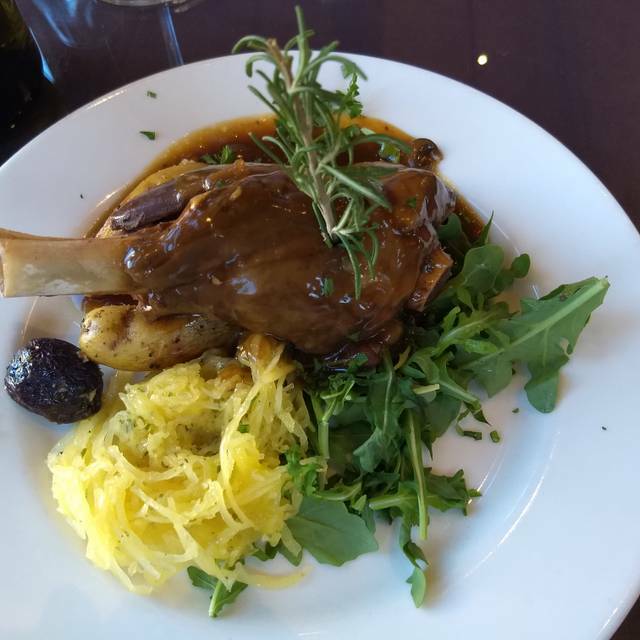 Lamb shanks are outstanding. We had a wonderful meal! I had salmon cooked to perfection (not too well done), with fried mushroom risotto and squash. Blew me away and very ample. My husband had lamb shank also cooked to perfection! Servers were polite and attentive. Here is the negative part. The people sitting next to us were so noisy it was distracting and downright rude. And I mean really noisy with drunken laughter. Manager should have approached those people and ask them to quiet it down. Had dinner twice, loved both entrees. Breakfast is an exceptional value and much better food than what you find at most lodging. Staff are attentive and friendly. Service was very slow. Waiter was often out of site and hard to get a hold of when in room. Food was bland. We’ve been eating at Spotted Dog for about 30 yrs, on our many trips to so Utah. Always had been a memorable and exceptional experience until this visit. Music playing was superfluous. Staff was fine but nothing special. Both the crab cakes and the pasta purses were lukewarm. Our bubble got burst. It was our first time in Springdale and we were looking for somewhere to have dinner so we checked OpenTable and found Spotted Dog it. It was a great choice for us. We started by splitting a Caesar Salad and flat bread with a tasty dipping sauce. For dinner we ordered the Red Trout it was perfectly prepared, delicious and The Meatloaf it was hearty and hit the spot along with the Flanagan Cabernet. Our family party of 16 dined on March 31, 2019. We ordered a variety of dishes, such rocky mountain red trout, lamb shank, duck, chicken, smoked beef short ribs, smoked red trout, soup of the day etc. Everything was delicious. The prices were reasonable for the generous portions. We will definitely be back next time we are in Springdale. Nice comfortable room with thoughtful service. Highlights were the Caesars salad and molten lava dessert. Utah requires ground beef to be cooked to well done so do not order s burger. Overpriced but good food for the most part. A wonderful meal as per usual. Food was great. Nice dinning space and excellent service. You should definitely make reservations. Great food, friendly service, and a relaxed vibe made this a great place for our last dinner while visiting Zion National Park. Wonderful place. One of the best waitress we’ve had in a long time!!! Great menu and food. We received a gift certificate for dining and could not have been more fortunate in the choice. Our server, Dave, was friendly, efficiecent and helpful in guiding our choices. Our meals was excellent! While we dressed a bit for dinner, many were there in their hiking gear so it all came together as a comfortable and relaxed vibe. If ever in the area again I would not hesitate to experience this little gem again! Best restaurant I've been to in years. The staff was very attentive and took care of every need. The food was incredible. I had salmon that was prepared med/rare (perfect). Almost non existent sides, 5 leafs of spinach and 5 small chucks of under cooked butternut squash. The wild game meatloaf had decent flavor but I could barely tell that it was wild game. Go to Kings Landing, much better food. Visiting town for spring break. After a late night and a full day of physical activity in the park, we could not have been more thrilled with the outstanding meal. 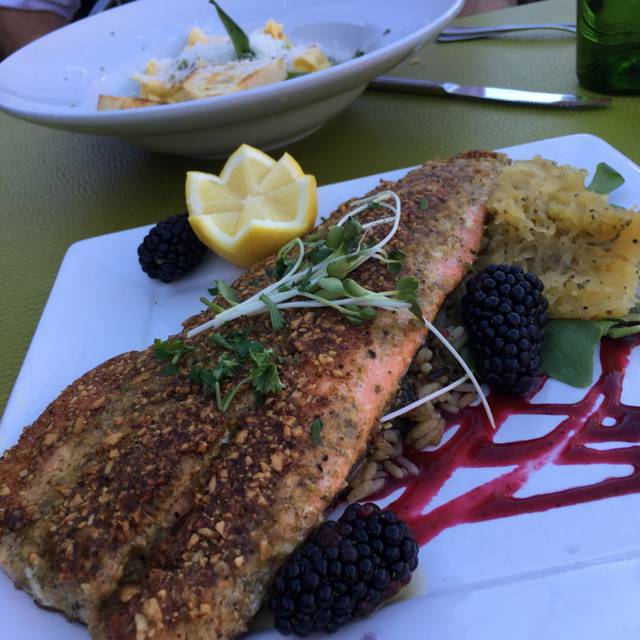 I had a nice wine, beet salad and the trout. All exceeded my expectations. My husband loved the lamb shank. The kids meal spaghetti was real sauce and a delicious meatball. Would absolutely recommend! Everything was great except for the Irish Coffee which was awful. Enjoyed Spotted Dog while on Spring Break in Zion NP with my 19 year old son. He had the Short Ribs which were just delicious. I had the Salmon which was prepared perfectly. The special St. Louis style ravioli appetizer which we shared was well worth it. We HIGHLY RECOMMEND The Spotted Dog. 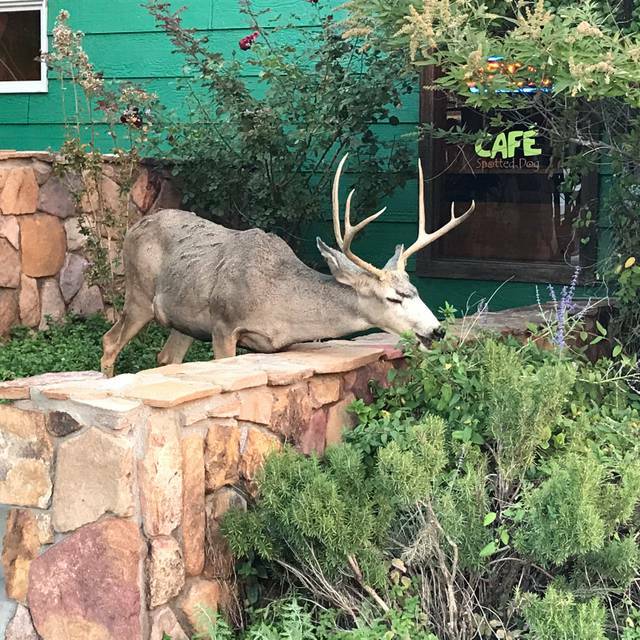 This was a top notch dining experience while visiting Zion National Park and staying in Springdale. Our server Libby was terrific and always attentive. Libby knew the menu well and was able to recommend many items. The duck was very good and good quality. The food was just OK. I got the meatloaf and it was a bit dry. 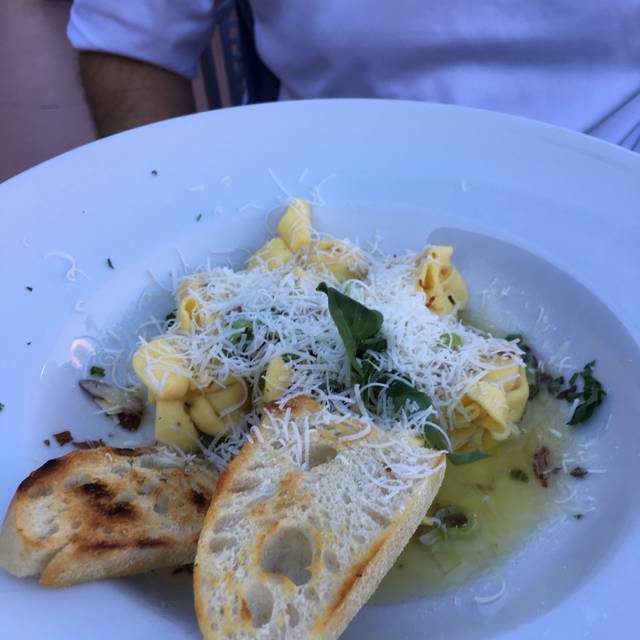 My husband got the pasta and it was good, not great. Menu choices not impressive. Beautiful view and nice dining room. A reservation got us a great table by the window. Lave Sporting dog cafe good food, fantastic service, beautiful atmosphere and reasonable prices. 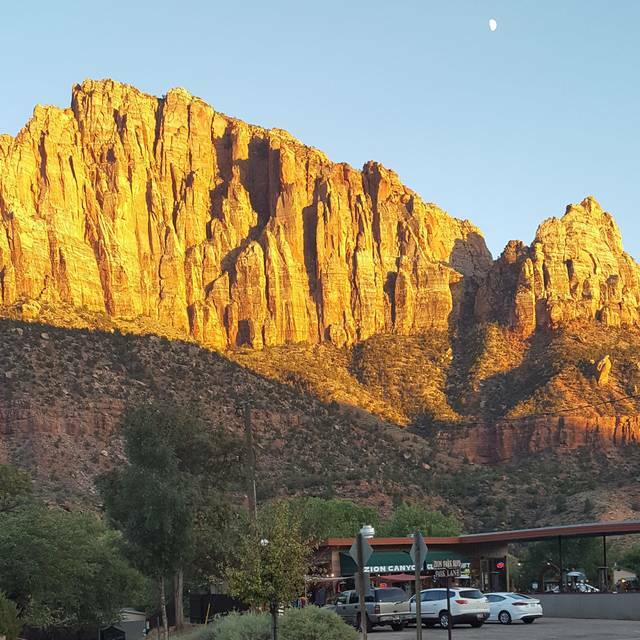 I come to Zion for 40 years and this place involves to be the best in Zion.Try it and you love it. What a great time, the wind this was spectacular, and the food was well paired. The menu is a little small. 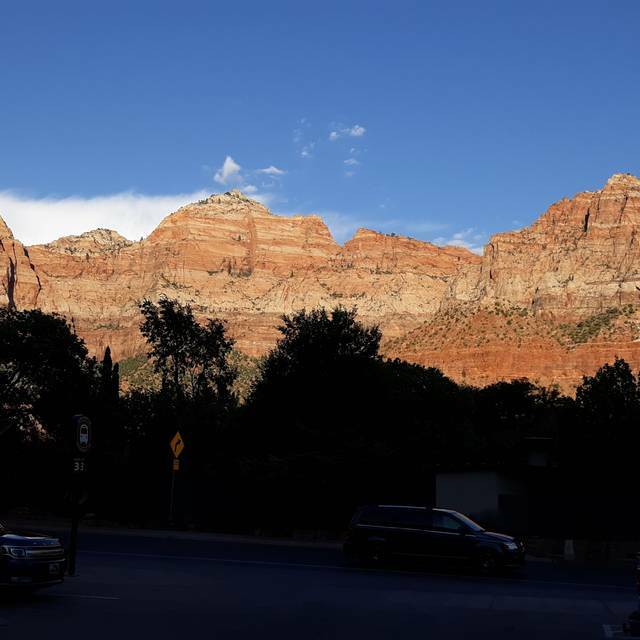 Beautiful views of Zion from our table. Excellent service, we had the meatloaf, crab cakes and and cheesecake, all very good. Prices are reasonable and ambiance very warm and attractive. Was spot on!! Delicious maryland crabcakes. Perfectly cooked salmon. My son did find the wild game meatloaf any different then grandma's beef meatloaf. Nice evening out. A good choice when dining in Springdale. Ben the waiter recommended some wine choices for us which we both enjoyed. Food was good not great. I had salmon which was good and well cooked while my husband had the braised lamb shank which he felt was over sold as it was described as fall off the bone which it definitely did not. Cheesecake for dessert which was good. A nice restaurant but was taken down a notch by the casual dress code which included diners in leggings and crop tops. For the price I would have expected better. We had a very pleasant New Year's Eve dinner, complete with a fireworks display. Perfect martinis, the duck was outstanding and the crab cakes...YUM. New Years Eve Dinner was great. Seated quickly. Super attention from staff. Good menu choices and reasonably priced. Arguably the best place to dine in Springdale, UT. Loved this attractive, tastefully decorated restaurant in Springdale. Parking was plentiful and the food was terrific. The wine list was extensive. Loved the lighting and ambiance and our waitress was knowledgeable, friendly, efficient and attentive. Rachelle the hostess was great. She helped us accommodate changes in our group size and was very helpful! Much appreciated! Very nice restaurant with fabulous views of Zion National Park. Service very good and professional.